Correspondence from Utah State Automobile Association Manager, W.D. Rishel to Utah State Highway Engineer, K.C. 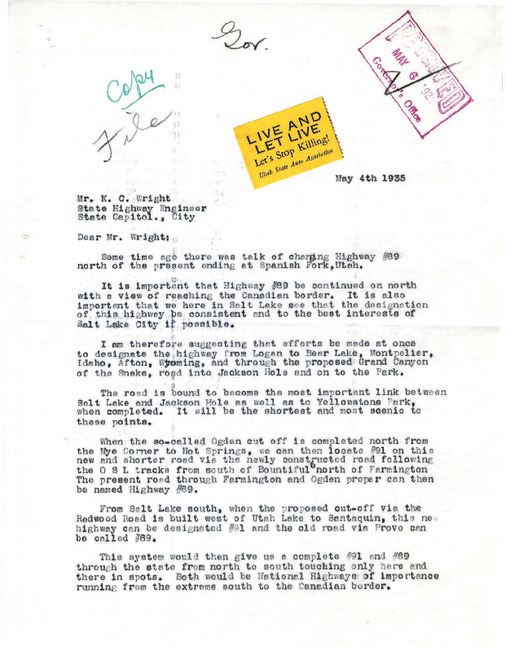 Wright advocating the association's position on how Highway 89 should be routed north of Spanish Fork, Utah. Governor (1933-1941 : Blood), “Correspondence from W.D. Rishel to K.C. 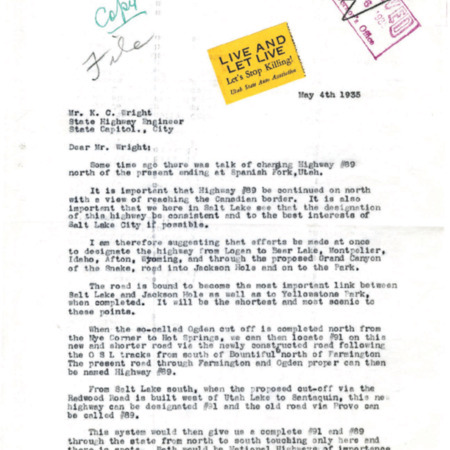 Wright, May 4th 1935,” Highway 89, accessed April 22, 2019, http://highway89.org/items/show/10240.